final, final? i took everything off from last time, and took the vertical orientation back to the initial concept with the images pulled apart and only weaved a little bit. and then i kept the full image weave for the horizontal orientation. i kept the type that i created and positioned it along with the directionality of the strips. i left the icons alone because i think they still are a good simplified version of the covers. the covers are now less cluttered and allow the viewer to understand the overlapping pictures that display the pun. i don’t think it’s quite there yet, i’m still going to work on integrating the text, that seems to be my struggle this semester. This entry was posted in how 2 judge the book, spring 2013, viscom2 on March 26, 2013 by briannadallas. volleyball, tennis, table tennis, badminton. for my “analog” element i took two images and physically weaved them together. these two images display a pun. a play on specific words prominent in each sport. volleyball/ dig. tennis/ top spin. table tennis/ serve. badminton/ birdie. the geometric quality of the weave relates to the structure of where these sports are played. all four are court sports. adding the representation of the court also enabled the introduction of a complimentary color. i created the type myself to go along with the pixel formation. 3.16// ……but maybe not. i need to pull back and simplify the design to where it started. it seems that i have a bit of a habit of my initial design being pretty solid with only minor refinements needed, and during the editing process i try too hard to change/enhance it, that the design ends up falling flat and not keeping with my main visual concept. so over spring break i will take a step back and keep the imagery clear and concise like in my first attempt. This entry was posted in how 2 judge the book, spring 2013, viscom2 on March 14, 2013 by briannadallas. This entry was posted in how 2 judge the book, spring 2013, viscom2 on March 12, 2013 by briannadallas. This entry was posted in how 2 judge the book, spring 2013, viscom2 on March 5, 2013 by briannadallas. 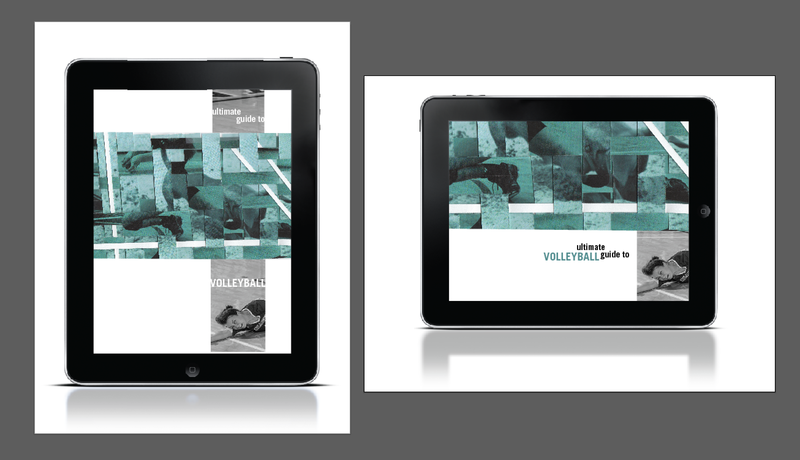 project dos // make app covers for books that contain the history and rules for 4 different but similar sports. all with a net and marked out playing area. most with a sort of racket [palm]. each use a different type and size of ball. all start points out with a serve. might possibly include a humorous one-liner about the sports to make the cover a little pun-y. as for including analog elements in the design, photographs probably are a yes, or might i try and illustrate them..
1 idea // using particular sayings about the sport to create scenes to photograph that depict the concept. This entry was posted in how 2 judge the book, spring 2013, viscom2 on February 26, 2013 by briannadallas.